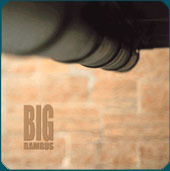 Big Bambus was formed by guitarist Nils Olav Johansen and saxophone player Bjørn Ole Solberg in 1989. Per Zanussi (bass) and Thomas Strønen (drums) joined the band later on. Their music is all original and in a European jazz tradition, a mix between modal and harmonic improvisations in a groovy landscape.